Side note: Sorry everyone, apparently the first 4 minutes of the video (of me ranting and having a tantrum) somehow got cut in the editing process. .... yet another thing for me to rant about, no doubt. The missing section contains me ranting about the ridiculousness of everything in the past 72 hours or so, and that I felt I needed to bring this information out today.... the remaining video contains the entire news footage, so I guess you don't get to see D have a tantrum.... this time. Well my friends, I'm back again, even though I said I wouldn't be recording any updates till after Christmas. In the past 72 hours, the world seemingly went to hell in a hand basket and I threw a few tantrums and did a lot of ranting. There are several major pieces of news that are coming out right now that we need to take a much closer look at: Cuba, North Korea, Iran, and of course Russia..... allllll big pieces to watch. ... and if I'm not back again before then ..... I am wishing you all a bright and happy holiday season!! 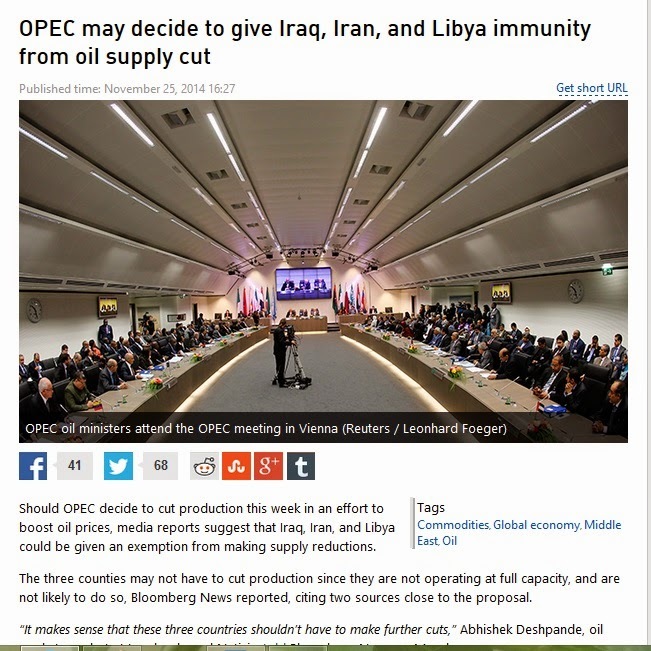 side note: isn't it interesting that less than a month ago Saudi/OPEC were saying that they are going to cut back on oil production? ... to boost oil prices?